Oooh!!! I’m so excited! 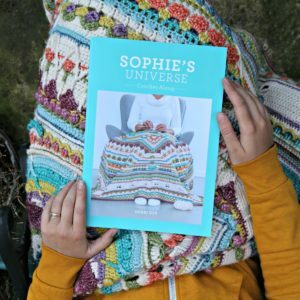 I bet you Jenny has been clicking on the refresh button on the website for the last hour to see if I have posted the reveal of the gorgeous blanket she made using 12 of my Charlotte Squares. 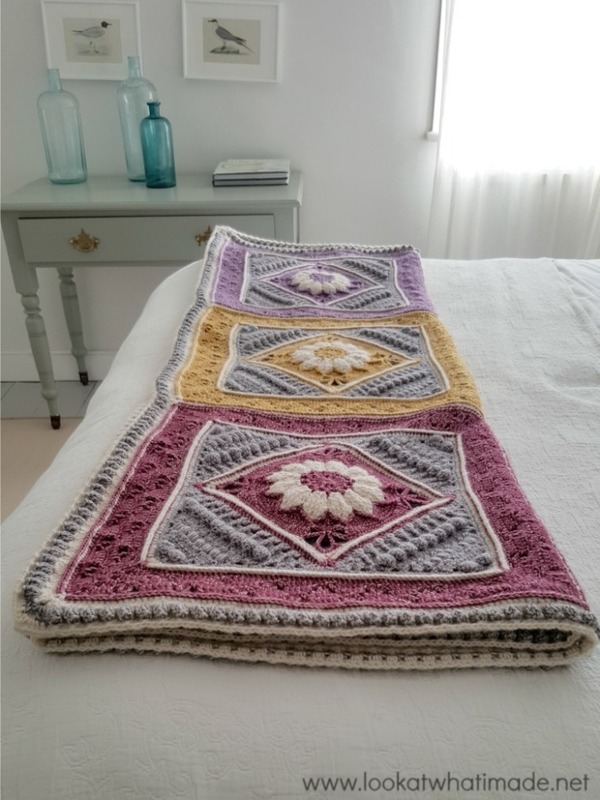 Charlotte’s Dream has been a joy to help conceptualise, and I hope you like the finished blanket as much as Jenny and I do. I am crazy in love with the way the colours play together, creating a vintage summer-picnic feel. We have combined pastels with bright colours, choosing to use a different contrasting colour for each square while keeping to the same cream/grey rounds. You can read more about our yarn/colour choices HERE. We chose to do a very simple border that echoes the two main colours without detracting from the squares themselves. For the popcorns, we used the Really Lazy Popcorn Method. In the interest of transparency, I will tell you that these photos were NOT taken in my house. I live in a tiny 3-bedroom house in London, with mismatched carpets and soft furnishings. I lugged Charlotte’s Dream all the way to Lyme Regis because I love (LOVE) taking photos against the styled backdrop of the house where Daisy (from Devon Sun Yarns) hosts her Yarn Retreats. And now I will reward your patience by showing you a photo of Charlotte’s Dream all spread out. I have to tell you that the few people who have seen this blanket in person MUCH prefer it to anything else I have created or designed. Christiaan went absolutely Googly-eyed when he saw it! The pattern for Charlotte’s Dream will be posted on my website next Friday (28th of October). 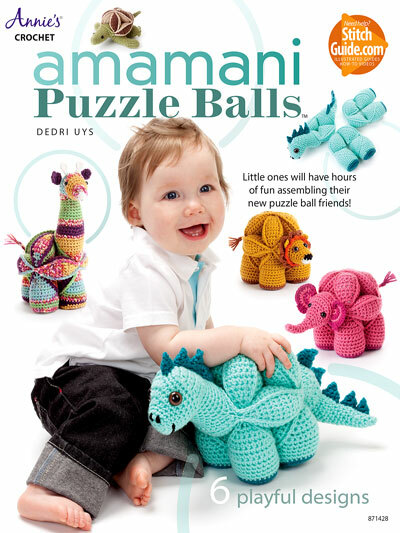 In the meantime, yarn packs for this project are available from Wool Warehouse (offers international shipping and includes printed version of the pattern) and Deramores. 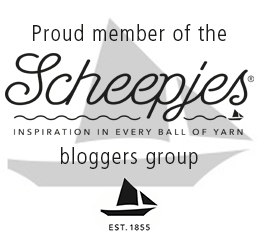 You can also buy Stonewashed from Scheepjes (NL), and you can find out how much yarn you will need HERE. 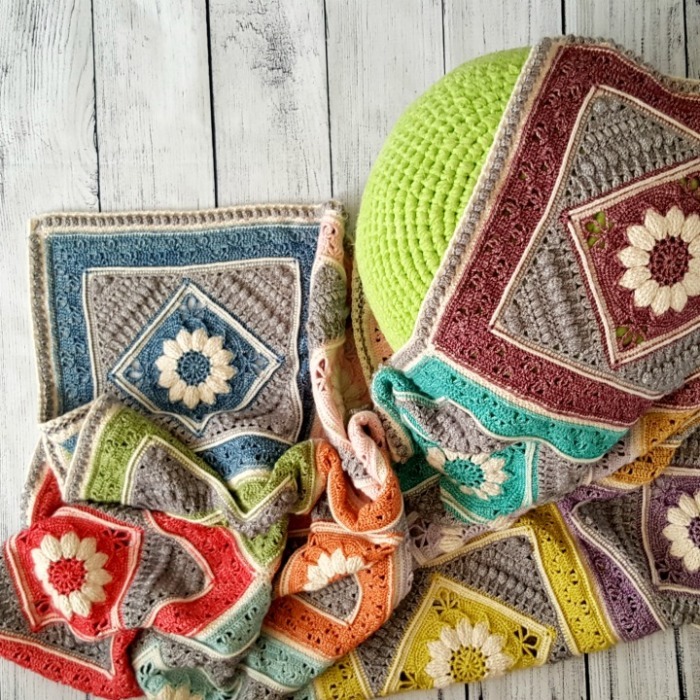 If you have already bought the yarn pack, I would love it if you would share your progress using #charlottesdreamcrochetblanket. Just happened on this pattern via a Pinterest link. My goodness, what an absolutely gorgeous pattern. In all my years of crocheting I’ve never seen a pattern quite like this one. 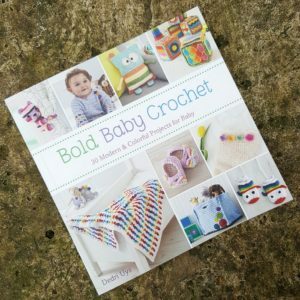 Congratulations on a lovely, lovely pattern and thank you so much for sharing. I am following the pattern and am up to the Second Part of the Square – Triangles. I was also following the instructions for Charlotte Large Crochet Square Part 1. Where do I find part 2 relating to the triangles please. Hi Nellie. The instructions for Charlotte’s Dream include the links to all 3 parts of the square. You can find the direct link for Part 2 HERE. Thanks so much Dedri. I have the written pattern of course but I like to follow the photo of each row as well. I did carry on with the first triangle and it looks okay although in saying that I have spotted a mistake in about row 3 or there abouts. Once I have done the other three sides, I will re-do that side. Did you manage to find the photo tutorial for Part 2 (the link I sent you on your last inquiry)? I’m glad you’re enjoying it!! Thanks Dedri – yes I did find the link. I have almost finished the first square. My next question – I can’t see anywhere where it says the completed size of each square. I have a funny feeling that apart from the single crochet stitch, I may have reverted to UK terms! Also, how did you block each square – did you wet block or steam block? I think your square would buckle quite badly if you had reverted to UK terms. Just to check, how are you making your dc’s? 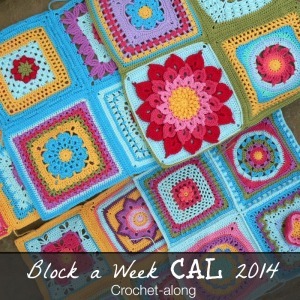 You don’t have to block each square before joining, but if you want to, wet blocking is best. This is incredibly beautiful. 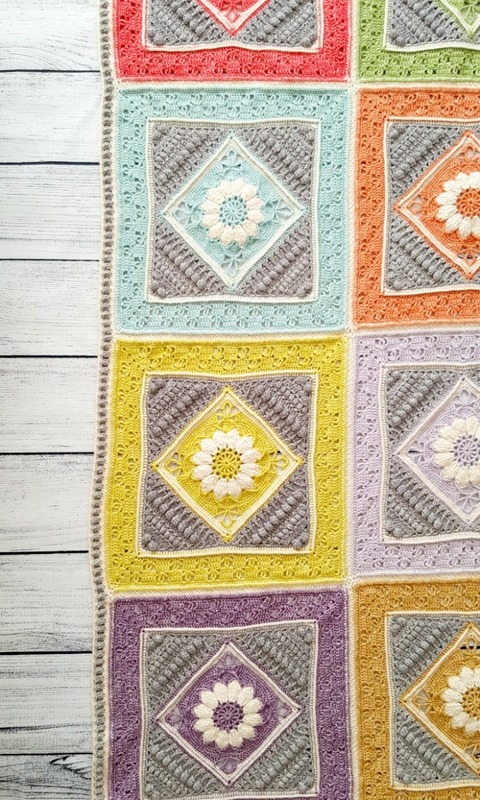 I’m not usually a fan of the “granny square” type blankets but this is so elegant and pretty! I am in love. Hi Shehla. Thank you so much. I have just had a (not so quick) scroll around your website and I love it! Thank you for taking the time to comment so that I could find your content. I have always wanted to write a ‘how to design’ series, so your post about designing (and your workbook) has got me all excited. It is a great post!! Hi Jackie. The pattern was posted on Friday and you can find it HERE. 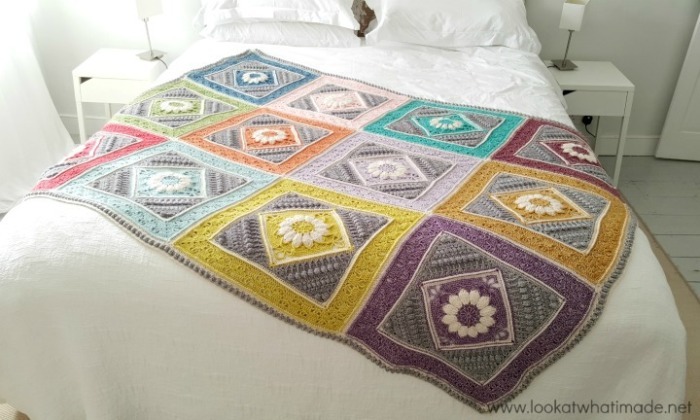 What a wonderfully gorgeous blanket! 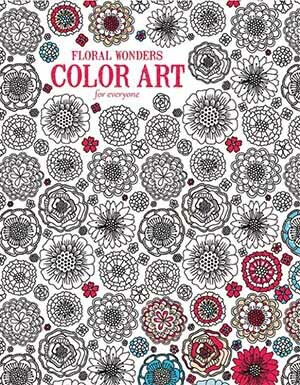 You are so talented….I envy your abilities to choose such striking color combinations and create such amazing designs! 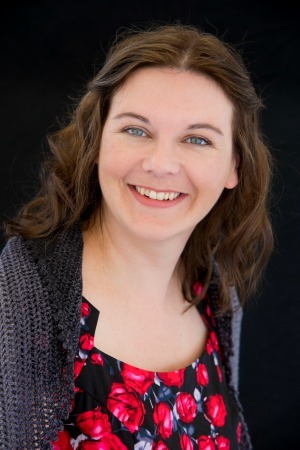 Thank you so much for sharing your patterns and photos….wish we lived closer so we could meet! PS – Love Lyme Regis! I don’t think I have been this excited since the SOL CAL last year. This is gorgeous and I can’t wait to get going on it… thanks to you, I was able to spend a few hrs in my yarn stash this weekend figuring the best colour combo for my Charlotte. Will the pattern be available in US or UK or both. 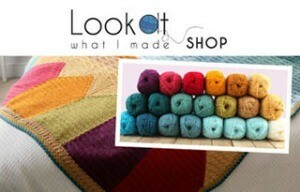 :) So excited order yarn today! So THAT’S the way to use that stonewashed series – your pattern and work showcase it so, so beautifully – well done!! 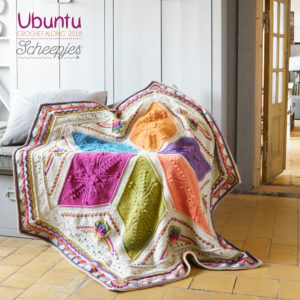 D3, your blanket is stunning – we should arrange for a photo on Kruisrivier’s stoep! Whoops, forgot- gorgeous work/coloration, Jenny. I like just looking at the colors and the squares. This color scheme is stunning. I love all your stuff. A lot. This is gorgeous, and seems like it melds qualities from your previous pieces- it’s got some of the textural intricacy of the various iterations of Sophie, your usual great use of color, and since the variations are in color rather than pattern of the blocks, there is a soothing simplicity in the discipline of the design. it really is lovely, and I’m excited for the pattern’s debut. Thank you for sharing it! 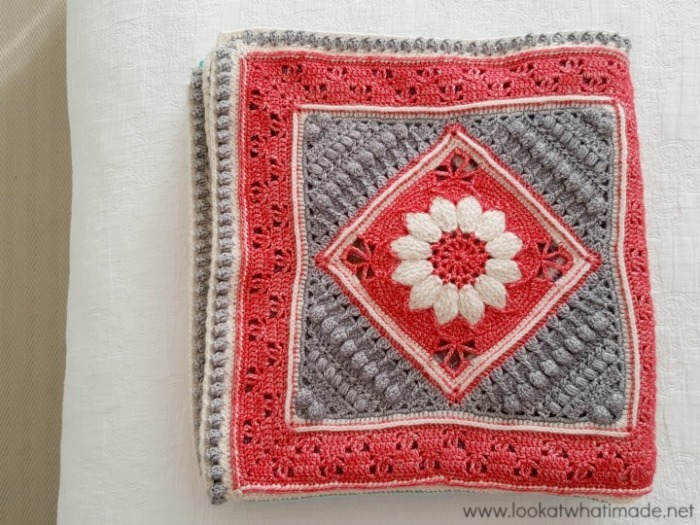 I loved to make the Charlotte’s square, thank you so much for this blanket! I am definitely going to make it. And I love your colours! Wow, what can one say but absolutely stunning!! This is surely a must-do project! I’m so happy there are such wonderful people like you, sharing your beautiful creations with us, thank you!! 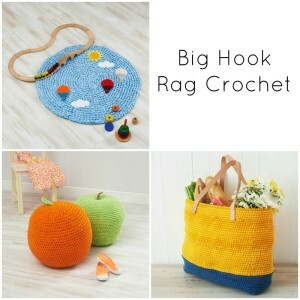 We love making things to encourage others to give crochet get a go, too Marika! Really really nice this blanket, I love it ! Et les couleurs, mmmhhhhh ! Bravo Jenny ! 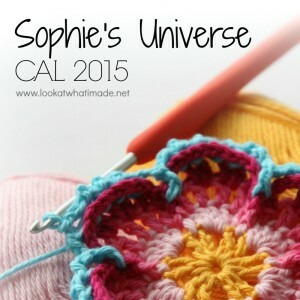 The pattern will be available here on the blog, with links to it on the Facebook page as well.